One of Japan's largest car manufacturers. Basically, it is a model with a small engine volume. compact minivans also manufactured, pick-up trucks and SUVs. This technique is known and respected around the world. Daihatsu Sometimes called the "largest producer of small cars." 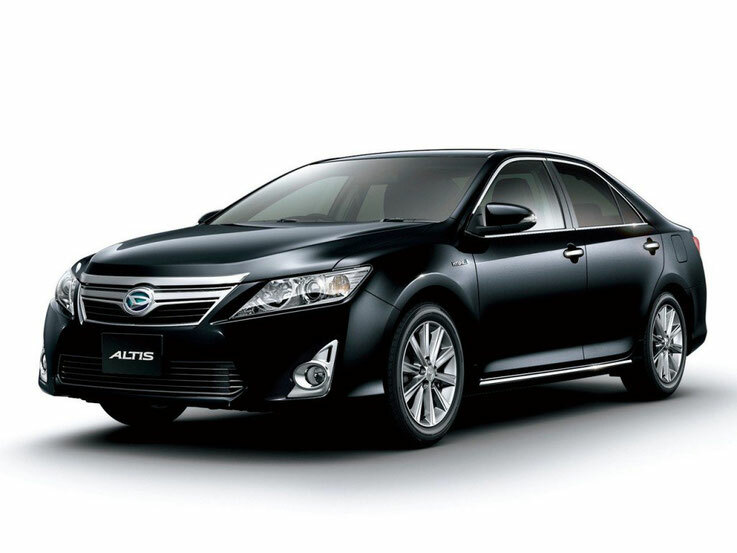 Since 1967, the company owned by Toyota Motor Corporation. Daihatsu is one of the oldest car manufacturers of Japan. It all started back in 1907 when there was a company in Osaka Hatsudoki Seizo Co., Ltd. She founded her band Osaka University professors. Initially the company was engaged in manufacture of internal combustion engines - manufactured engines running on natural gas. Later there were also variations on the theme of gasoline. The range of their application was wide - from land to water transport. This went on for as much as 23 years old. In 1930, the grand event - the company introduced its first vehicle. By car it is a small three-wheeled miracle called difficult. 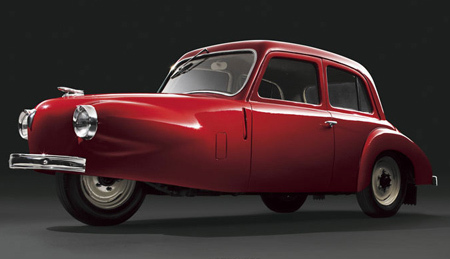 But the three-wheeled design gave two important advantages - low cost and relative simplicity. Yes, and such decisions tax was smaller. Compact creations Hatsudoki Seizo perfect for maneuvering through the narrow streets of Japanese cities. Begins expansion of the model range, there are the first compact the trucks. However, selling them was quite difficult due to poor infrastructure. So major customers began military. In those years, Japan has followed the path of militarism policy, as a result, orders were so many that soon Hatsudoki Seizo had to begin to build an additional plant. It attempts to create a four-wheeled vehicle was made, which did not have much success - there was a model of FA, of which very few people are now aware in April 1937. 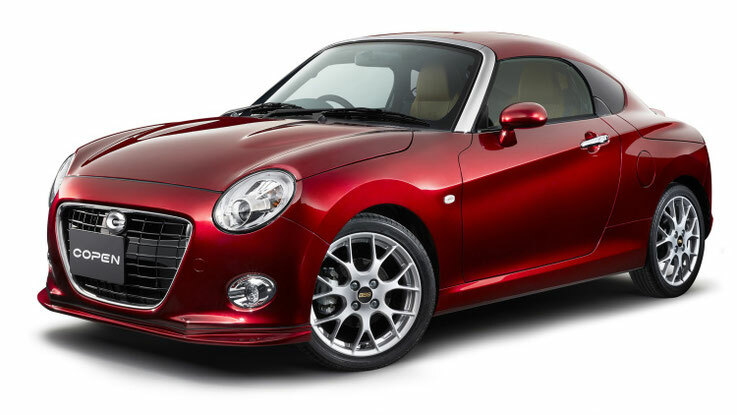 But it was the first all-Japanese compact car. After Japan's defeat in World War II, the company for a long time could not recover. Products produced, but very slowly. The situation once again helped to correct war. At this time in Korea. Engines, as well as cheap and simple tricycles Daihatsu the trucks were there in high demand. By the early 50s Hatsudoki Seizo already fully recovered and decided to try to engage in the production of products for export. To start the name was changed so that foreigners broke their tongues. It appeared in 1951, Daihatsu Kogyo Co. Those years were marked by the appearance of unusual models like Daihatsu Bee. According to some sources, these cars are quite a long time was used as a taxi. In 1957, it begins the export of miniature three-wheeled truck Midget (vehicle, more like a large scooter). This model was able to gain popularity even in the US. It was quite an achievement. In 1958, it appears the first four-truck company. Again, a little. And this model will succeed. Various models are beginning to emerge one after another. There are compact passenger cars, vans, trucks. The company, the first in Japan, begins to experiment with electric motors - so there is an electric truck Hijet Truck EV (true mass production of its start did not dare). One of the milestones in the history of Daihatsu Motor Co. It considered in 1967, when it signed a cooperation agreement with Toyota Motor Co., Ltd. and Toyota Motor Sales Co., Ltd., of which in the future will be born Toyota Motor Corporation. This agreement actually meant leaving the first to the second submission. In 1974, the company changed its name to Daihatsu Motor Company, used to this day. The subsequent history of the company - is the story of the lineup, and not very successful. Cars Daihatsu, many of whom are compact and affordable, slowly conquering the world. Thus, model Charade received in Japan the title of "Car of 1977". A 80s marked the final conquest of the United States. Today, Daihatsu sold in more than 120 countries worldwide. Daihatsu Motor Co., Ltd. It owns many subsidiary companies such as Daihatsu America, Inc .; Daihatsu Auto Body Co., Ltd.; Daihatsu Transportation Co., Ltd .; Daihatsu Metal Industry Co., Ltd. and others.